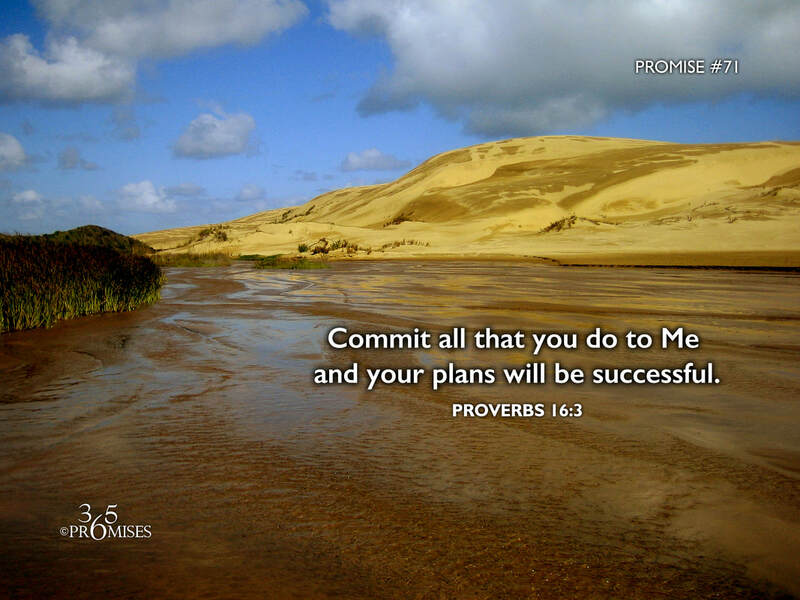 Proverbs 16:3 in the Amplified Bible says this... Roll your works upon the Lord [commit and trust them wholly to Him; He will cause your thoughts to become agreeable to His will, and] so shall your plans be established and succeed. (AMP) The NIV Bible says that God will establish your plans when you commit all that you do to the Lord. To commit all that we do to the Lord does require a huge level of trust in Him. Trust that He is looking after our best interests and trust that we do not have to manage our life on our own. When we are convinced that our God and Father is indeed trustworthy, we will have the courage to entrust Him with our lives and rest in the outworking of His plan for us. Jeremiah 29:11 tells us that God's heart for us is to give us a hope and a future. He is a good God and Father who gives good gifts to His kids (James 1:17) My prayer today is that you and I would know this through and through and would be able to commit everything we do into His loving care. As we are able to let go and let God, we will see our plans established in the way that our Heavenly Dad has intended. May we all experience the kind of success that God has planned for us that is measured from a Kingdom perspective.